During the month of May, we here at Pilgrim had the privilege of having a high school student, Anna Halldorsdottir, reestablish our Church Library. Anna registered all items into a searchable database which is accessible through our website. She used a comprehensive circulation system, which will enable church members and friends to get books on loan through a simple web-based interface. Anna did this as her senior project at Shaker Heights High School. Anna worked diligently on the project, scanning ISBN numbers, searching for necessary information about books and publications, taking photos of book covers, and moving the books into a new library room on the first floor. 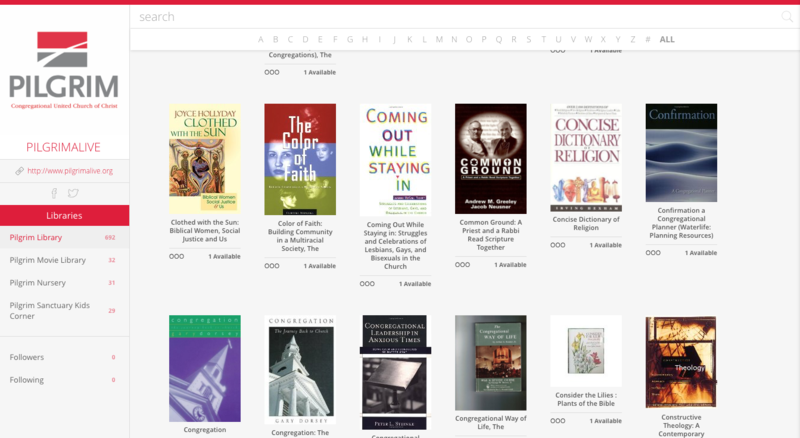 Our library catalog can be accessed at pilgrimalive.libib.com. To check out books at the moment, you can contact Halldor Gudmundsson, Director of Christian Education. Our new Library location will in the future also serve as a meeting room for smaller groups and committees. The room will be furnished with a TV which can easily be connected to a computer for presentations. next post: Is Pilgrim Church for You?